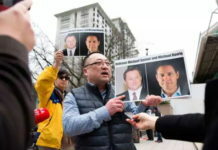 In clear reprisal for Canada’s U.S.-sought arrest of the daughter of Huawei’s founder, China has detained two Canadians on charges of undermining its national security but has shied away from taking any action against the United States. This is in keeping with Beijing’s record of acting only against the weaker side, even if it happens to be a U.S. ally. For example, when the U.S. installed its Terminal High Altitude Area Defense (THAAD) anti-missile system in South Korea, China used its economic leverage to retaliate against South Korea, not against the U.S. The heavy-handed economic sanctions imposed on South Korea in 2017, partially extending into this year, illustrated Beijing’s use of trade as a political weapon. Similarly, after U.S. President Donald Trump signed the Taiwan Travel Act in March, which encourages official visits between the U.S. and the island, China staged war games against Taiwan and bribed the Dominican Republic and Burkina Faso to break diplomatic ties with Taipei. The U.S., however, faced no consequences. 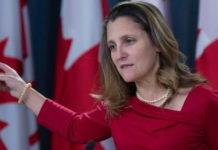 Now, while intensifying a punitive campaign against Canada, China has adopted a tempered approach toward the U.S., even though Canadian authorities arrested Meng Wanzhou at the behest of U.S. prosecutors for alleged bank fraud related to violations of sanctions against Iran. In fact, Chinese Foreign Minister Wang Yi has bent over backward to emphasize that while confrontation hurts the U.S.-China relationship, co-operation benefits both countries. Such is the Chinese effort to mollify the power behind Ms. Meng’s arrest that, in recent days, Beijing has made trade-related concessions to help defuse tensions with Washington. 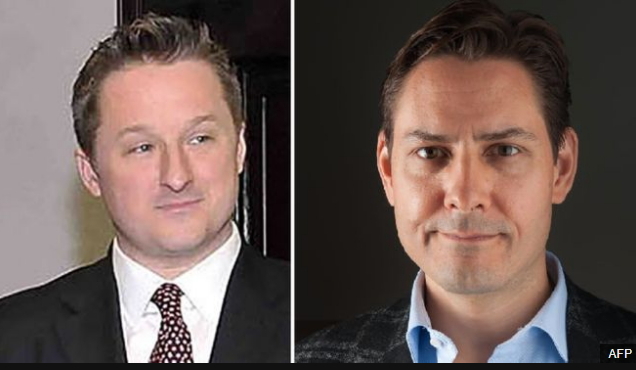 Contrast this with the way China has followed up on its threats of retaliation against Canada by arresting a former Canadian diplomat, Michael Kovrig, and then detaining Michael Spavor, a Canadian writer and entrepreneur living in the Chinese province of Liaoning. 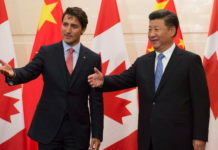 Ms. Meng’s release on bail has apparently not allayed Beijing’s anger against Ottawa. Such behaviour fits the classic definition of a bully, whether in school or on the international stage – one that engages in unwanted, aggressive behaviour by taking advantage of an imbalance of power. In fact, with its foreign policy favouring strong-arm methods over mutual understanding, China’s neighbours increasingly view it as a bully. U.S. Defence Secretary Jim Mattis correctly said at a Senate Appropriations Committee hearing that China pursues a “tribute nation” approach to other countries and aspires for “veto power” over their sovereign decisions. This approach helps explain why Chinese President Xi Jinping’s Belt and Road Initiative (BRI) has started to run into resistance in a number of countries. Essentially an imperial project aimed at making real the mythical Middle Kingdom, BRI has sought to lure countries desperate for infrastructure investments into China’s strategic orbit. Countries neglected by multilateral lending institutions initially flocked to BRI, but now, partner countries worry about Beijing ensnaring them in sovereignty-eroding debt traps. China’s penchant for bullying also explains why it essentially remains a friendless power. It lacks any real strategic allies. Indeed, the more power China has accumulated, the greater has been its difficulty in gaining genuine allies, underscoring that leadership demands more than brute might. Contrast this with the strong network of allies and partners that the U.S. maintains globally. China, a trade cheat that has also employed non-tariff tools to punish countries as diverse as Japan, Mongolia and the Philippines, is now getting a taste of its own medicine. With Ms. Meng’s arrest, the U.S. showed that it has more powerful non-tariff weapons. 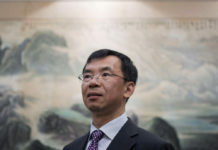 China’s elites are rattled – angry but also fearful that any one of them could meet a similar fate while traveling to the West. Ms. Meng’s arrest was significant for another reason. As former U.S. defence secretary Ash Carter says in a recent Harvard University essay, Beijing has a history of staging provocations that coincide with high-level diplomacy. For example, the start of Mr. Xi’s 2014 state visit to India coincided with a deep Chinese military incursion into the Indian Himalayan region of Ladakh. The fact that Ms. Meng’s arrest coincided with the Trump-Xi dinner meeting on Dec. 1 in Buenos Aires signalled to Beijing, however unintentionally, that others can pay it back in the same coin. More importantly, Mr. Trump has shown how active U.S. pressure on China, as opposed to imploration or admonition, can yield concessions. 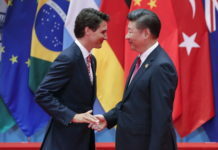 Without the U.S. withdrawing its 10-per-cent tariffs on US$250-billion worth of Chinese goods, Beijing has begun lifting, following the Buenos Aires talks, its restrictions on imports of U.S. food, energy and cars. Those restrictions had been placed in retaliation for the 10-per-cent tariffs. 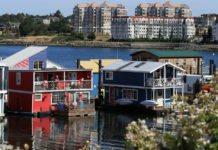 The U.S. threat to increase them to 25 per cent and possibly extend them to all imports from China forced Beijing’s hand. When a country pursues an accommodating approach toward Beijing, an emboldened China only ups the ante. Deference to China usually invites bullying, while standing up to it draws respect and a readiness to negotiate and shore-up co-operation. 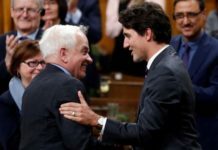 Ottawa would do well to remember this fact as it grapples with the escalation of the diplomatic feud by a country that seeks to play the aggrieved victim while acting as the bully. Brahma Chellaney is a geostrategist and the author of nine books, including the award-winning Water, Peace, and War.